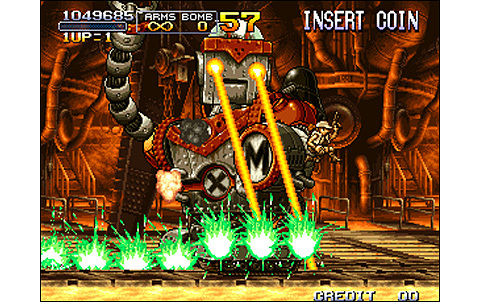 Gentlemen Metal Slug fans, start your engines. 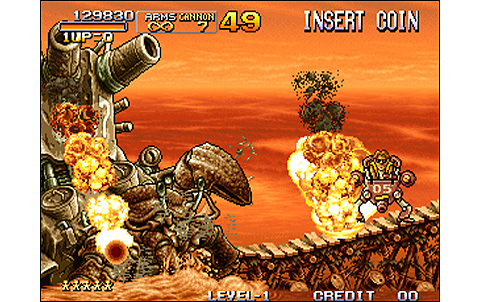 SNK celebrated gloriously the entry in the new millenium, with a brand new game in the series. We are dealing here with a superb specimen of its kind, the largest ever observed in operation: 708 Mb at the weighing, no less! I already imagine the girls - a little hypocrites - singing their usual chorus: "yes, but it's not only the size that matters ...". 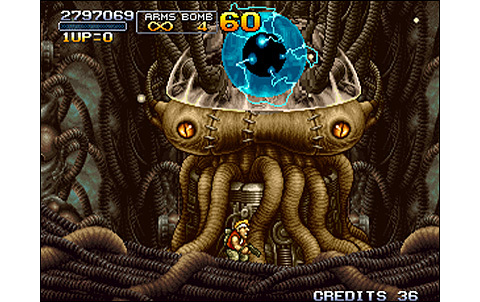 Well, not only Metal Slug 3 is big and long, but in addition, it's extremely efficient and hard! 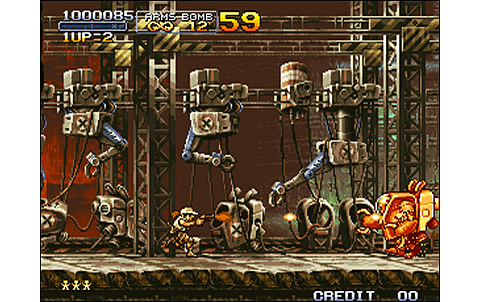 The recipe that made the success of the past episodes didn't changed at all: Four selectable characters, many vehicles to catch on the road, an impressive host of enemies, huge bosses, two-player cooperative play still hyper-fun, bonuses and hidden items, the hundreds of prisoners to rescue... 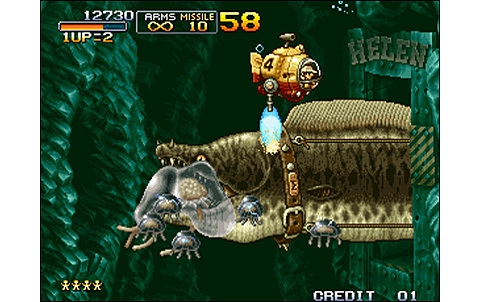 This whole Metal Slug episode revolves around a high-fly realization, as usual. But there's a little difference this time. 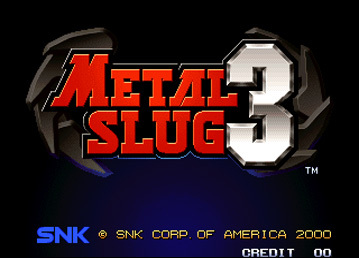 SNK, usually generous with its voluptuous and fine-tuned games, full of winks and surprises, have this time provided content in excess! We simply are offered here the longest , the richest, the most difficult, the most enjoyable episode of the whole saga. Metal Slug 3 only features five stages, but man those stages are huge... In each of them, it's possible to take different routes: you can start many new games and never go the same ways, and thus discover new things every single time you play! And frankly speaking, things were not done by halves: there are three possible paths in the first level, two in the second, four in the third, and at least five in the fourth! 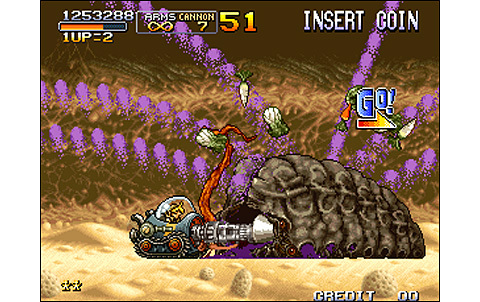 The fifth and last stage, let' s talk about it my friends: by itself, it lasts almost as long as the other four. 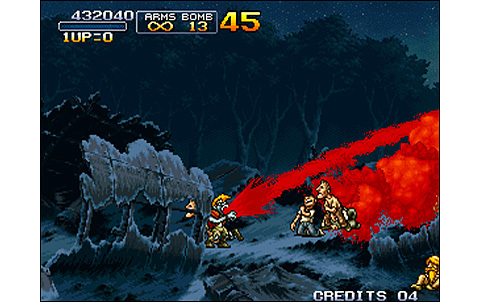 Oh, we're not proposed different routes in this one, but trust me, it's a still a long -and surprising - road... SNK put many winks to the series in this installment, but also to other videogames or even movies. There's a lot of fun awaiting players looking to find all this good stuff. 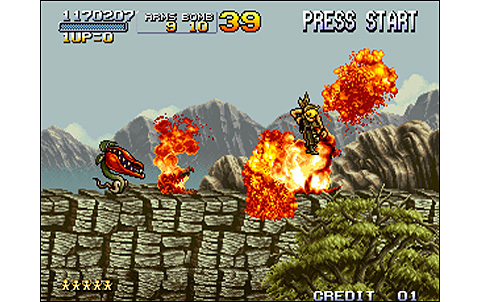 Players will have to cross thousands of miles while killing furious and unpredictable enemies (yes! 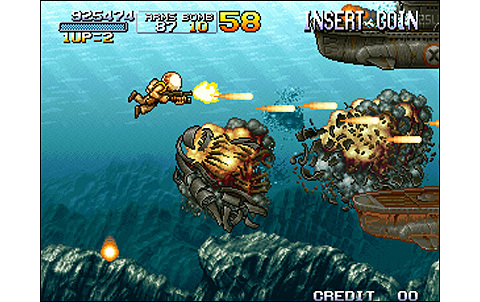 ), face several huge Bosses, rescuing dozens of prisoners... 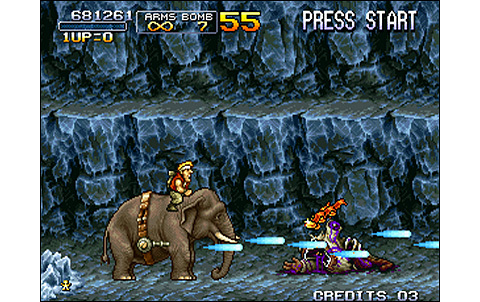 The phases of the game in this final stage are varied, taking... and surprising! 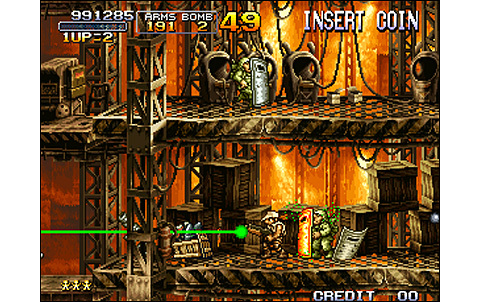 Besides, but you probably already have noticed that on the screenshots, the stages in Metal Slug 3 are extremely varied. 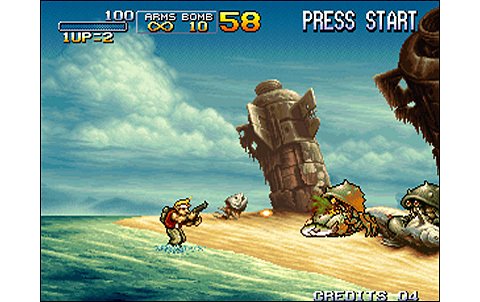 Beach, forest, mountain, desert, caves, military warehouses, ocean, ice cave... the whole game is filled with many different areas of this kind, and other exotic things. It's just great, you never get bored at any time, and every path taken is an opportunity to discover new things. The style is similar to the one already seen in the other title of the series, but the graphic design is here at its peak: not only because of the variety I told about, but qualitatively, artists reached the top, and backgrounds are filled with beautiful reliefs and details. 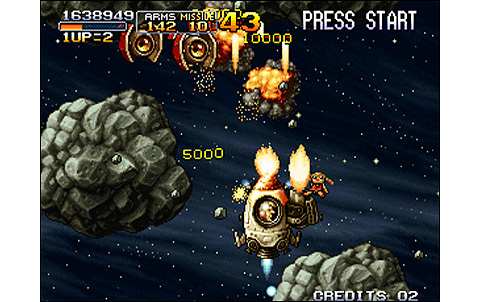 The characters and Bosses are also remarkable: in short, it's flawless. 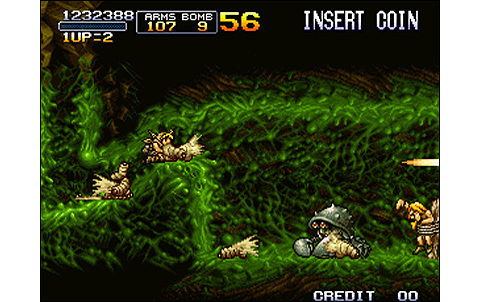 The Metal Slug style didn't changed, but it almost reaches perfection in this episode: it's sublime. Smooth animation, with many details and living details everywhere. Some rares slowdowns are happening when playing two. 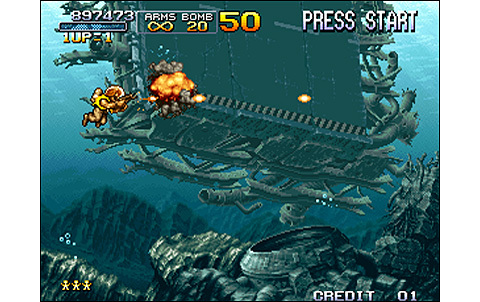 Musics are excellent, with legendary themes re-orchestrated. 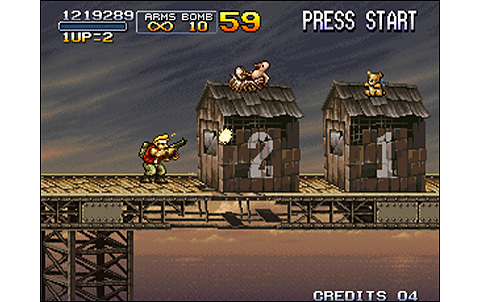 The best sound effects are kept, and excellent new ones are added! Five huge stages, with many different routes: fabulous! Anyway, players will come back anytime for the only pleasure to play. 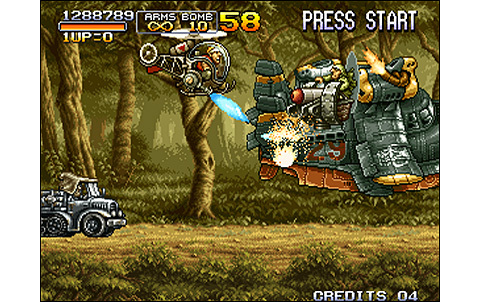 Metal Slug 3 takes back all ingredients that made past episode great successes, adding it a great difficulty and some new elements. It results in a fantastic gameplay! 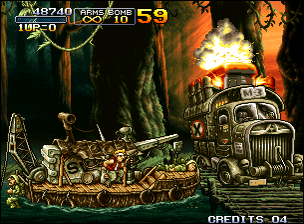 Metal Slug 3 is the best episode in the series. 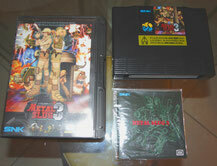 MS3 offers the best value/money rate of the series, despite a high value (350 euros minimum). 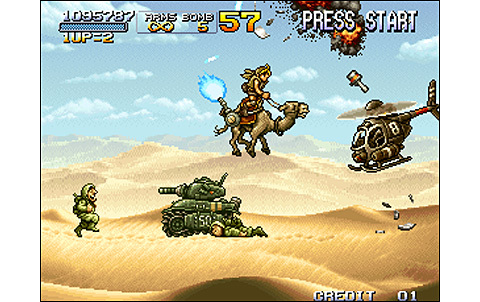 It's the longest, the greatest, the hardest, the most complete of the Metal Slug games! You got it, if you can only have one on the system, that's it.